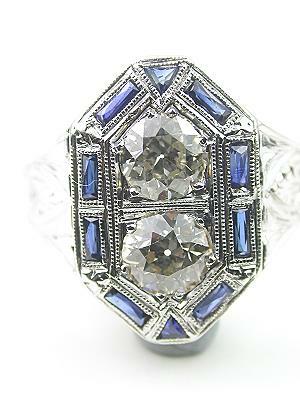 Ornate and alluring, this this Art Deco antique ring with old European cut diamonds is geometrically intruquing. 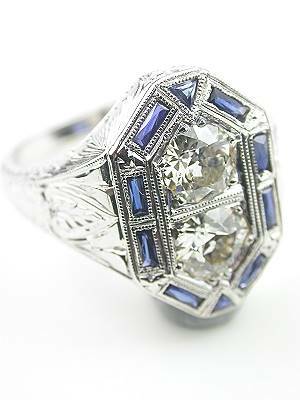 The octagonal top setting of this antique cocktail ring is highlighted around its geometric rim with a collection of eight rectangular faceted mixed cut and two triangular faceted mixed cut blue sapphires. 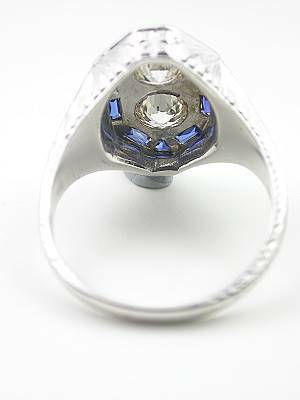 The total gemstone weight of all the sapphires is 0.28 carats. 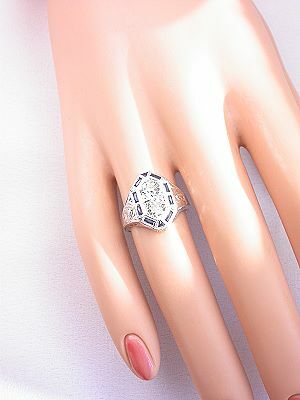 A pair of old European cut diamonds is tucked in the center of the octagon and total 0.81 carats. 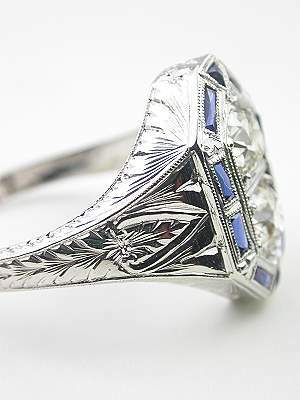 A hand-engraved 18k white gold band with a leaf motif provides the setting for this Art Deco ring. Circa 1925 to 1930. 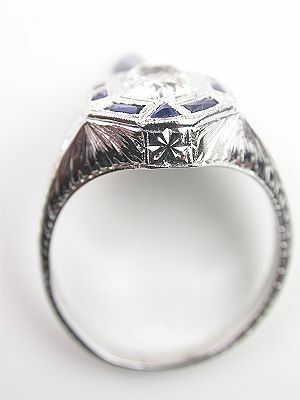 Special characteristics This Art Deco ring is in the elongated octagonal style with a hand engraved leaf motif. The diamonds are bead set and the sapphires are flush set with milgrain borders.